Power washing is the best way to improve the ambiance of your company or organization. Power washing is highly in demand when it comes to a proper and safe cleaning at commercial areas. In power washing, high-end devices or spray is used to clean the place. Doing power washing at your location is a good idea because it gives a great cleaning with safety measures, it removes all type of dirt and mold from the exterior as well as from interior at your commercial area. Cleaning is a very annoying job for everyone, one has to spend his whole day in cleaning the walls and floors with scrub bar. If your house is big then it becomes a headache for you to clear out the larger places and it’s a time-consuming job. 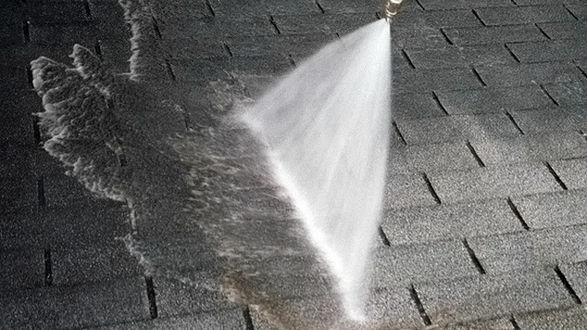 But selecting power washing will help you by simply applying water force to the surface without any manual force. Power washing is cost effective. The best thing about Power Cleaning is easy to do and that too in less time. Even if you do not have time for that you can go for the professionals, they can manage this work easily and can complete faster than you because experience does everything easy and faster for them. Professionals work at their best they work with scrutiny. Most people judge the building or the area by its looks and cleanliness around it. So, it is very important for one to keep their commercial buildings and surroundings clean and green. Power is a good idea for the commercial buildings because it gives a positive impression. Power washing is the best way to tackle the dust and the types of grasses growing between the tiles and many more. Power washing helps in cleaning concrete bricks and stone-clad. Power washing is used for walkways and sidewalk cleaning. Even mechanics have started using power washing in garages to wash vehicles. The main reason behind this is it easily cut the most stubborn dust and easily clean large spaces in minutes. Power washing helps your building to stay clean, it removes dirt and grime from the walls. Clean building and clean workplace less chance of getting affected and the chance of more productivity. Always prefer a professional service cleaning agency because they can perform all cleaning task properly to keep your office maintained. If once give contract then its there concern. they look after all the areas which need care and they keep dust free walls. If you are looking for a professional cleaning service contact All Pros Carpet cleaners, we have specially trained workers with hi-tech gadgets. We work with flexible timings. In today world it is very necessary to keep your furniture clean because you never know who can give a surprise visit. So it is very necessary to maintain your home by regular vacuuming and calling professionals for full cleaning services in a period of 1-2 years. Always remember the more soiling the less chance of getting the original color and texture of the furniture, so don’t be laid back and always hustle. Upholstery cleaning is a process or task which should be given equal importance, upholstery is mostly ignored. People do not realize that they spend more time sitting on furniture than on the rugged flooring. If you prefer certified trainers when it comes to your house cleaning. Then I would appreciate your decision because professionals have many techniques to solve problems. They can restore the appearance and extend its life. They work on problems as if it’s their own problem, through this good bonding and trust can be achieved by the customers. They also provide key tips for cleaning purpose on daily basis. Regular cleaning helps to maintain the cleanliness and hygienic atmosphere in the house. Let’s see some of the advantages of upholstery cleaning. 1. Your furniture is always clean: In this busy life no one gets enough time to look after the upholstery cleaning but it is very important. In this case, you can schedule a professional upholstery cleaner for your upholstery cleaning because it helps to look your furniture new, maintained and can use it for a longer time. 2. Healthy family: Family is the priority in everyone’s life. People intake hygienic food, they buy room air purifiers to maintain the hygienic atmosphere in their house, but what about furniture dust? Children mostly get ill because of these allergens and pollutants that you don’t see that linger deep inside your furniture. The sofa would be the main spot where you and your family would prefer to sit and chat and the stifling can affect your health, especially patients with asthma and weak respiratory system. So, you have cleaned your carpet & now it looks clean & smells great. Now you want to keep them looking good for as long as possible. So for this carpet maintenance is vital. Shoes are the main source of your carpets get dirty. Most outdoor pollutants that enter your home are walked in on shoes. Even though the soles may appear to be clean, they carry fine particles and oily substances that come in contact with your carpets. Request your family and guests to remove their shoes before coming inside. Just remind them that in many countries it is considered bad manners to wear shoes inside! High heels should be strictly avoided on the carpet, as the sharp heels can catch on the carpet fibers, & you can fell down and can hurt your self. Most people are unaware that bare feet can also leave your carpet looking dull and dirty. Even if your feet look clean, they still have an oily sticky particle on them that leaves a residue on your carpet that will actually attract dirt. Using separate slippers and socks for home would be a great idea. Investing in a good quality vacuum cleaner and learning how to use and maintain it, is the first step in protecting your health and carpet.But there are so many vacuums in the market, how do you know which is the right one? Dual Motors – An upright vacuum with dual motors is an ideal choice because it utilizes one motor for the vacuum and one to operate the revolving head, resulting in no loss of power. Upright – Barrel vacuum cleaners will only provide suction and therefore only take off the surface dirt. An upright vacuum will have a revolving head or “beater” that will lift and separate the carpet fibers. This vibrating action allows dirt to be removed from deeper down in the pile. HEPA Filter – Make sure it features a HEPA filter. This will retain 99.9% of what you pick up and stops it from being recirculated back into the air and into the carpet, or worse – into your lungs! Wattage -You will need one that is powerful enough to pull the dirt from deep in the pile – not just clean the surface. The higher the wattage is, the more powerful the motor will be. Vacuuming is the best & easiest thing you can do to extend the life of your carpet and keep your home safe with healthy air to breath. 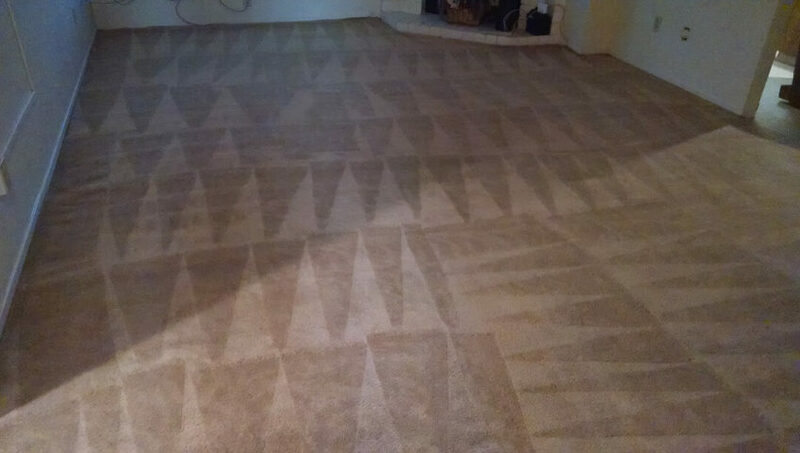 Regular vacuuming with a good quality cleaner will remove up to 80% of the contaminants that are living in your carpet. Weekly vacuuming, at a minimum, is important to keep the levels of dust particles and allergens away. Remember to always vacuum against the natural direction of the pile of your carpet, as this will remove more pollutants, giving a better result. You might be thinking why so? Right. The sunshine will kill bacteria and germs, but it will also damage your carpet. The UV rays penetrating through your windows can distort colors and bleach patches of carpet that are continuously exposed. Dull colors are equally as affected as darker tones, and it usually doesn’t become evident until you next rearrange the furniture. Reduce the impact of sun damage by installing and using blinds, curtains or awnings. By using doormats at the entry point of your house, will be able to control some of the dust by entering the house. To keep high traffic areas like hallways looking good, a mat or runner is excellent. These can reduce the wear on your carpet, can be changed easily and add a personal touch to your decor. You should learn how to clean up a spill is vital in the care of your expensive carpets. Always follow the manufacturer’s instructions according to the type of carpet you have installed. 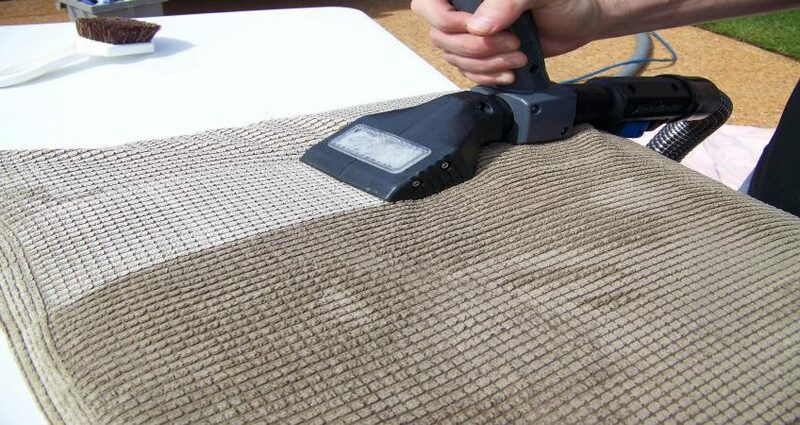 Keep blotting until no color is transferring to the absorbent material – it is important not to rub as rubbing will make the carpet look “fuzzy” and distorted and spread the stain further.